Mt. 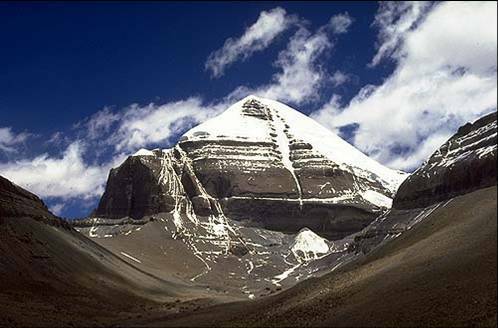 Kailash has the unique distinction of being the most venerated yet least visited of the world's major holy places. 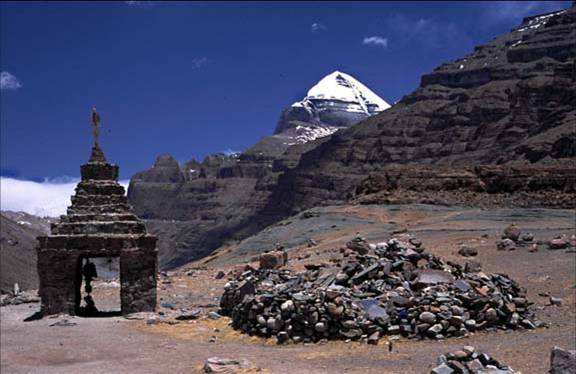 Soaring above 22,000 feet, the mountain is the supremely sacred site of four religions and billions of peoplePilgrims to Kailash, after the difficult journey getting there, are then confronted with the equally arduous task of circumambulating the sacred peak. 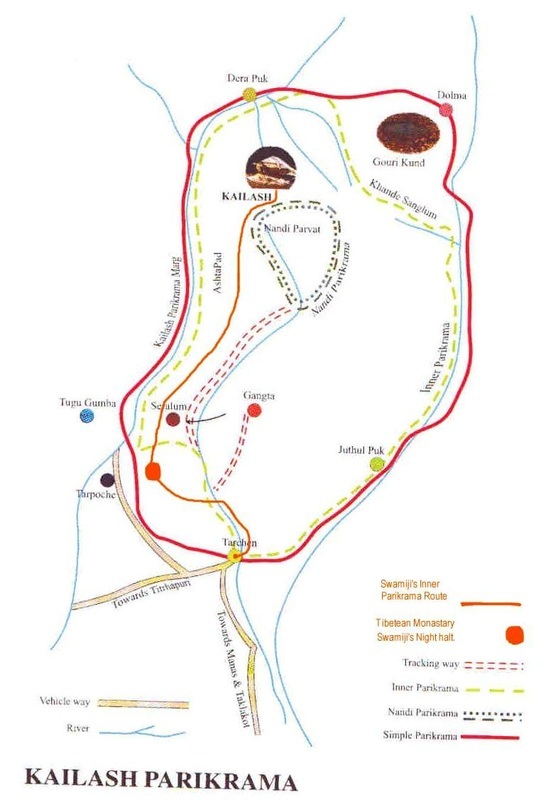 This walking around the mountain (clockwise for the Buddhists, counter-clockwise for Bon adherents) is known as a Kora, or Parikrama, and normally takes three days. In hopes of gaining extra merit or psychic powers however, some pilgrims will vary the tempo of their movement. A hardy few, practicing a secret breathing technique known as Lung-gom, will power themselves around the mountain in only one day (the author’s method). Others will take two to three weeks for the Kora by making full body prostrations the entire way. 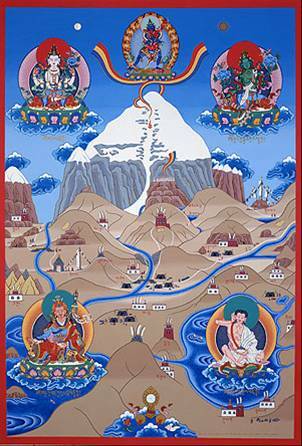 It is believed that a pilgrim who completes 108 journeys around the mountain is assured enlightenment. 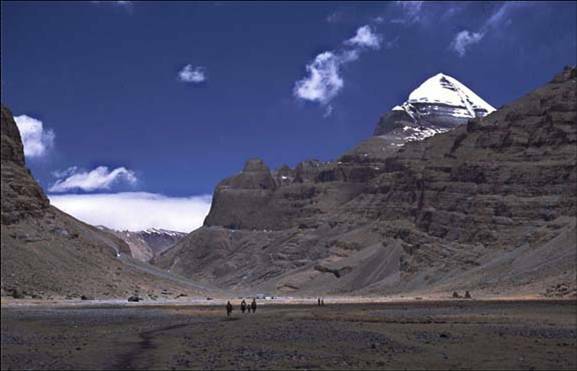 Most pilgrims to Kailash will also take a short plunge in the nearby, highly sacred (and very cold) Lake Manosaravar. The word 'manas' means mind or consciousness; the name Manosaravar means Lake of Consciousness and Enlightenment. 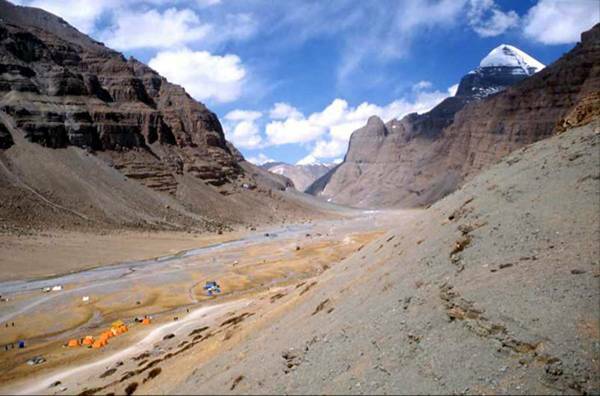 Adjacent to Manosaravar is Rakas Tal or Rakshas, the Lake of Demons. 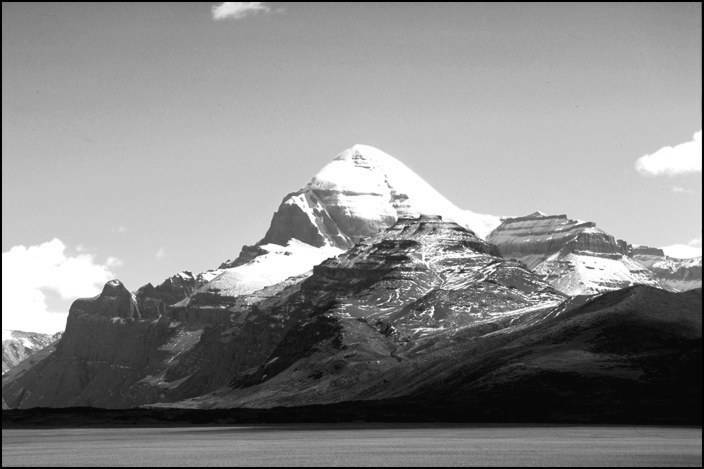 Pilgrimage to this great sacred mountain and these two magical lakes is a life changing experience and an opportunity to view some of the most magical scenery on the entire planet. "To see the greatness of a mountain, one must keep one's distance; to understand its form, one must move around it; to experience its moods, one must see it at sunrise and sunset, at noon and at mid-night, in sun and in rain in all other season, He who can see the mountain like this, comes near to the life of the mountain a life that is as intense and varied as that of a human being." Do you see Shiva in Kailash (see the pic above)?